This entry was posted on September 7, 2018 at 3:51 am and is filed under Gramercy/Murray Hill. You can follow any responses to this entry through the RSS 2.0 feed. You can leave a response, or trackback from your own site. I’d love to attend the talk about Stanford White. I am a volunteer greeter/tour guide in the park for the Washington Square Park Conservancy. 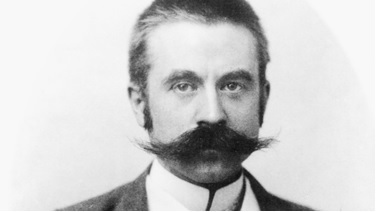 We have studied Stanford White in relation to the arch and of course his scandalous murder. I’d love to know more. If possible I’d like to bring another fellow volunteer or even two? Thank you so much. Wondering if you can confirm my name: Heather Rogan +2 from Washington Square Park Conservancy volunteers? Thank you so much! We are looking forward to this event. Please add my name , Louis Michael , to the list of attendees if room is still available. Thanks ! Thank you Ben, I’ll message you. I would like to attend the event on Standfort White. Would you add me to the list please? Thanks, I’d like to attend – L West site says it’s sold out, though. Fingers crossed. And thanks for your weekly bits of obscuriana -I mean ephemera! Thank you all—I have everyone’s names and will forward to the organizers. I was told Ephemeral New York could have up to 30 seats, so it shouldn’t be sold out, but I will follow up and make sure. Please add my name, Linda Davies, to the guest list. I moved to NYC last year and fell in love with the architecture of this city – even the old flats. I am just discovering some of the architects and your most interesting blog. If you have 2 tks remaining my husband and I would so enjoy this program. Thank you. Can you sign me up for 2 seats? Would love to attend the Stanford White presentation. Paula spoke here at the Historical Society a while ago – she was great! Any chance of getting a second entry for my husband, Mike Davies? He’s decided to join me if he can get in. Thanks! thank you. Will you let us know, or do we just show up? I’ll send out an update post the day before to make sure everything is set, and then my understanding is that you can show up–your names should be on a list. But I’ll confirm next week. Ephemeral New York isn’t a host or sponsor, but the kind folks at Landmark West offered me 30 seats, thinking that readers would be interested. This is irresistable, ephemeral; would you please add “Trilby” to the list? I look forward to seeing my name on the attendance list prior to the event. Thank you! Hello, I love your site. Please let me know if there is still room available at the event and if so, include my name and my wife’s name -Robert Feder and Florence Zeman as attendees at the event. I would love to attend the event. Name: Patrick O’Neills Can please confirm if you’ve successfully registered me to attend? Trilby, Robert +1, and Patrick: I will forward your names on, thank you! Thanks. We’re looking forward to the lecture. Did Sanford White design the National Arts Club? I thought it was the Player’s Club. Pardon my ignorance, but did he design both of them? Is it still possible for a friend and I to attend the lecture? My name is Alison Schondorf. Yes, I’ll forward your name, thank you. I think you are the last one! Much appreciated. Just to make sure I have it right: is that for one or two people? Hi! If there are any tkts. left, I would really enjoy going. Thanks so much, Pat DeMarco. Please sign me and a companion up for the lecture on Stanford White. (Two attendees, please.) Names: Kris Saylors and Ralph Baker. And thanks for your stories in Ephemeral New York. The pieces are terrific. Thank you! I’m not sure there are any more seats left; I think we hit 30 on Sept 8 around 7 pm. I think we’ve reached the limit for tickets! I wish I could attend but am not in NYC this month. 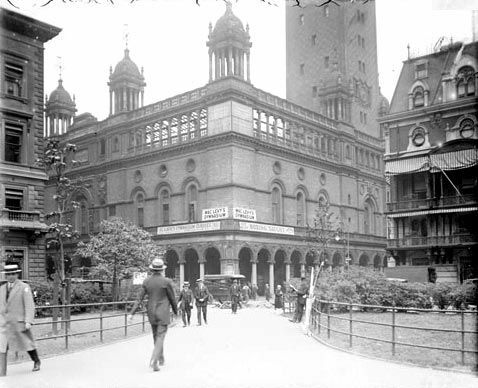 I want to comment on the photograph of MSG taken from inside Madison Square. The building on the right is the Jerome mansion where Winston Churchill’s mother Jennie Jerome lived. Update for everyone who signed up for a seat for the Stanford White event: all your names (Susan Spector got the last seat) have been added to the list, and that’s been confirmed by Landmark West, one of the event co-sponsors. Ephemeral, is there any way we may check the list to be sure our names are included? Thanks. Thank you, eph; will do. I want to thank you for opening these seats for your readers. We had a wonderful time last night, learned a lot about the life of Standford White, enjoyed the enlightened contributions of Paula Uruburu, met new people, admired the National Arts Club, found new resources for our adventures, and even enjoyed the walk home in the rain. Gracias my friend. I also want to add my thanks, and echo those sentiments. A lovely evening! Thank you so much for the seats! So glad to hear it! And the rain yesterday evening didn’t keep you from taking an enlightening trip back to the Gilded Age.